An amazing Party in the Park. After a few worrying, weather related, moments in the afternoon, the rain cleared away and left Simmons Park with clear skies, ready for the the five Battle of the Bands finalists to take the stage. They gave us a magnificent show, all the bands put their all into their performances, however only one band could be crowned as the winners. 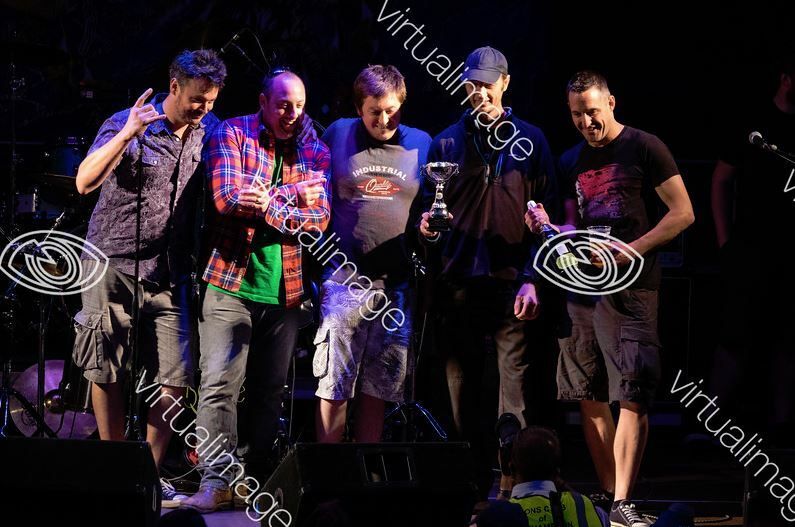 Okehampton band Faustus MD were given that honour and in doing so earned their prize, a place on the bill of Chagstock 2015. With the sun out and a crowd building BBC Radio Devon's Matt Woodley started proceedings. First band of the night, from Okehampton, The Copperfield Ensemble Project. 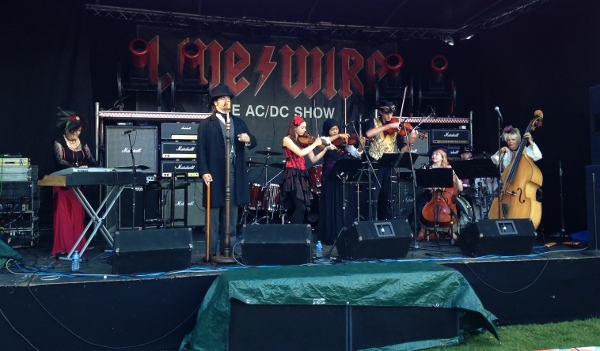 This intriguing band, dressed in their Steampunk regalia worked through their Victorian music hall inspired set with confidence. Next to take the stage, also from Okehampton, Faustus MD. An energetic performance including a tribute to tonight's headline band and a Taiko drum twist at the end. Alternative, alternative rock! Third band on was Beacon Fire from Exeter. Their atmospheric progressive folk rock certainly went down well with the crowd. Plymouth band, LGM One were next up. 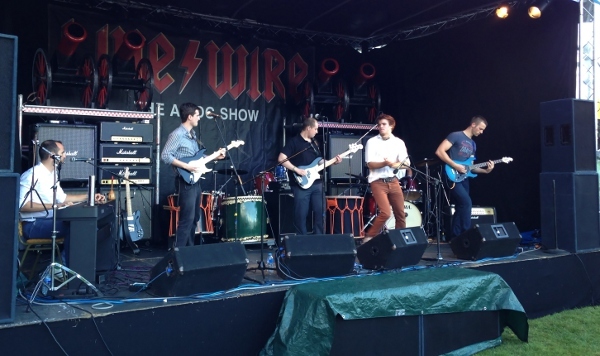 Described as Indie Electro Pop Punk, their songs had the crowd dancing along. The final BOTB band of the night was Pseudomorph. 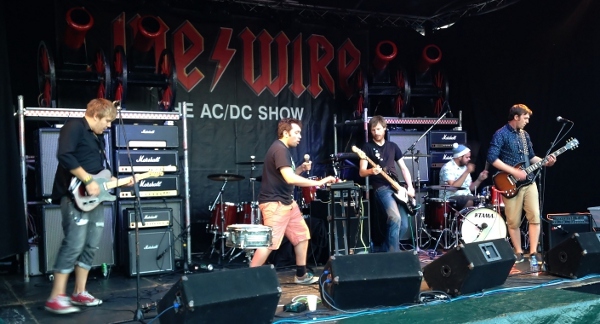 Their energy and anthemic choruses rubbed off on the crowd getting them all revved up for our headline band. During the night the bands got some mentions on BBC Radio Devon, with interviews with the bands being broadcast on James Santer's BBC Introducing show. Great exposure for the acts. So, to the prizes. 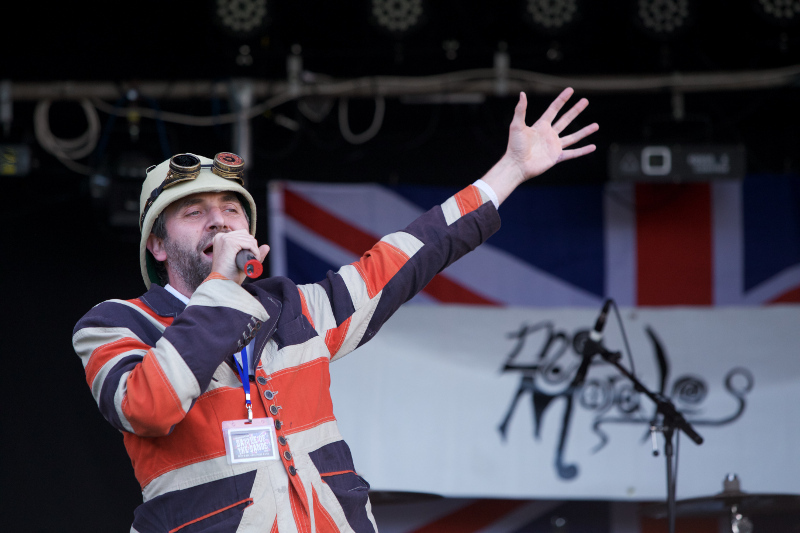 With Faustus MD being declared winners and getting a slot on the bill at Chagstock 2015, Pseudomorph won the digital bookmark package from Physidigi, LGM One and Beacon Fire a stage banner courtesy of SWH Signs and Donalds Menswear, and The Copperfield Ensemble Project taking the £100 Project Music Vouchers. 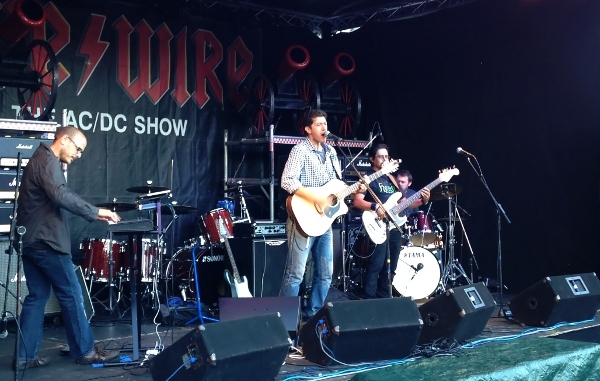 With the prize giving over, attention turned to tonight's headline band, Live Wire and my word what a headline act they were! 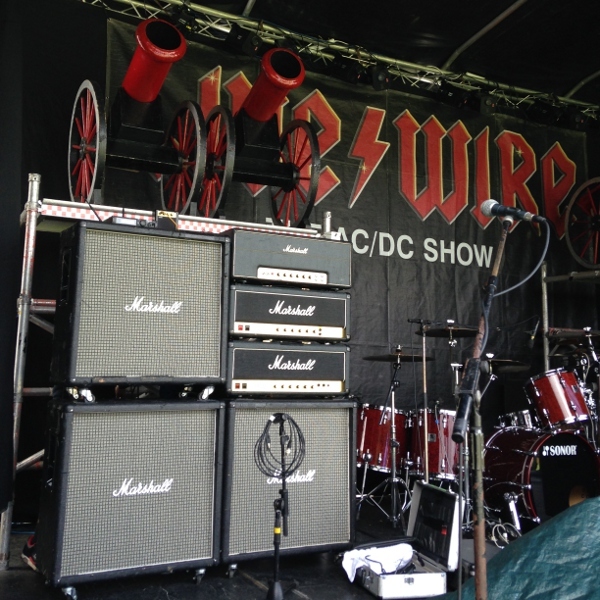 Wall of Marshalls, masses of energy, bags of showmanship, they ran through all eras of AC/DC with singing duties switching between their Bon Scott and Brian Johnson, all topped off with cannon fire! For those about to rock... We salute you. So there it is. 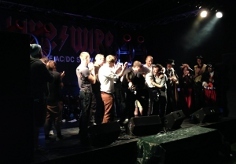 Battle of the Bands and The Party in the Park is done. We'd like to thank the people that kindly gave us our prizes: Project Music, SWH Signs, Skate Warehouse, Donald's Menswear, Physidigi and Chagstock Festival. We'd also like to thank our sponsors: Okehampton United Charities, The Plymouth Inn, Balsdens Vehicle Services and Steven's Estate Agents. And to Andrei Burton and to Matt Woodley for entertaining us this evening. Also to the Roundtable, The Lions and Waitrose for supplying our stewards. Final thanks to Okehampton Town Council, Hamlets Parish Council, West Devon Borough Council and Devon County Council for helping us to put the show on. "And so, to my final post. It's no big secret that this is going to be the last year that I will organise the Battle of the Bands and The Party in The Park. 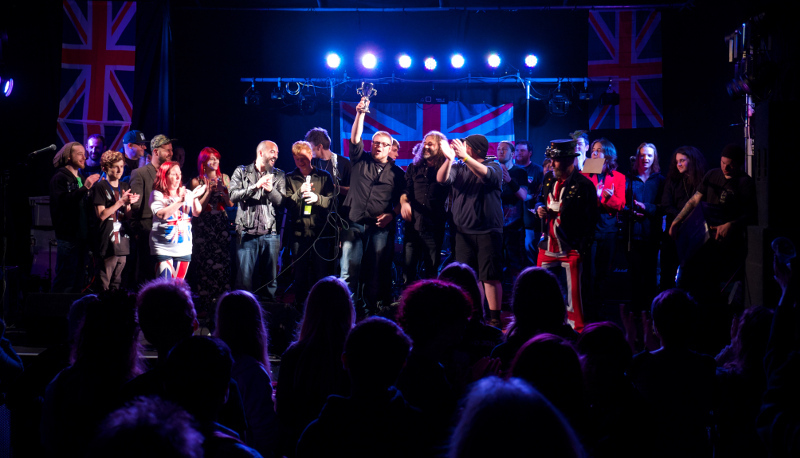 Over the last five years we have had some fantastic events and have seen some great Battle of the Bands competitors. Loads of these bands are still playing and some, (I Divide being possibly the best example) have really gone on to bigger and better things. 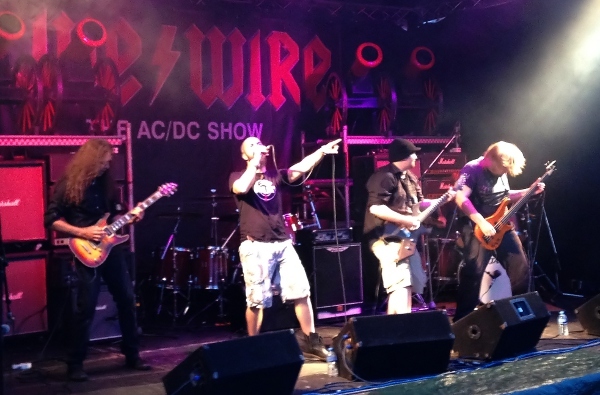 We have also had some great headline bands, The Hamsters, Ultimate Madness, Joey the Lips, The Bohemians and tonight, Live/Wire - The AC/DC Show. So thanks to those of you who have come and enjoyed it, to those of you that support local events and local music. Fingers crossed that somebody will take the event on and will build on it to make it even bigger and even better. I have had a blast over the last five years so THANK YOU. Cheers, Chris"